“Six miles of walking today. I used to feel tired after half that distance. No soreness, no aches – thanks to you. I'm still having difficulty accepting this for real.” John C.
“What I noticed most about Alphabiotics during my pregnancy was the issues and symptoms that I did not have. I had very little back pain during pregnancy and none during labor. If I were to get pregnant again I would continue with Alphabiotics. I was able to work 12 hour shifts right up to my due date and gave birth to a healthy baby boy of 8lb 15oz.” Erin R.
“I sure don’t miss the migraines!” Lisa S.
“I feel stronger and more centered. The world appears to be a more beautiful place and everything seems to be more in focus, more alive. My approach to my family and life is much more even tempered. Difficult situations are more easily handled. Subsequent visits continue to reinforce the strength and vitality I now enjoy.” Nancy H.
“My back was so bad that I couldn’t bend over, I couldn’t stand. With Alphabiotics, I have never been in so little pain. Thank you for giving me a REAL chance at a wonderful life!” Stacy T.
"I have noticed outstanding results since starting with Alphalign. For years I have suffered with neck and back pain trying various clinical avenues with minimal if any results. I tried Alphabiotics with skepticism and within a few weeks, my pain is gone and I feel better than I can remember. It's quick, easy, and pain free yet has dramatically changed the way I feel. I can't say enough good things about Alphalign." "I can't tell you how grateful I am to you for your talent as a healer! It has made all the difference in the world in my life. I am so appreciative." Jean D.
"Alphalign has completely changed the stress level in my family (and not just for me but for everyone in my house!). Really life changing." Robin M.
"Antes de ir al Alphabiotico , Yo tenia problemas digestivos , no sentia hambre , no podia comer nada todo el dia me sentia cansada con mucha fatiga, estres, estrenimiento, y muy desesperada , pero todo fue diferente para mi cuando fui al alphabiotico desde la primera visita yo estuve sorprendida con los resultados. Ahora ya puedo comer, mi digestion ha mejorado, siento mas energia y no siento mas fatiga. Gracias al alphabiotico por ayudarme. Dice mi marido," Yo tuve un dolor en la espalda por mucho tiempo yo no sabia que hacer hasta que yo supe acerca del alphabiotico mi dolor desaparecio, ahora me siento muy bien!" (Before I went to the Alphabioticist, I had trouble digesting. I did not feel hungry, I could not eat anything, and all day I felt very tired with a lot of fatigue, stress, constipation. I was very desperate, but everything was different for me when I went to the Alphabioticist. Since the first visit, I was surprised with the results. Now I can eat, my digestion has improved, I feel more energy, and I don’t feel any more fatigue. 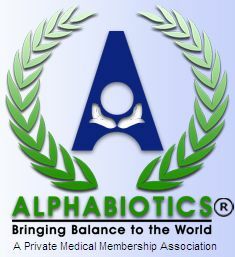 Thanks to Alphabiotics for helping me! My husband says, "I had back pain for a long time. I did not know what to do until I knew about Alphabiotics- my pain disappeared! Now I feel very well!") Martha G.